The moment I see those ripe bananas staring at me from your fruit basket, I realize it is time I start baking. While banana bread is an easier way of using these ripe fruits, I prefer transforming them into a subtle weekend dessert by baking a banana cake. Easy to bake and tasty to eat, the cake is nothing but bananas – simple and pure. 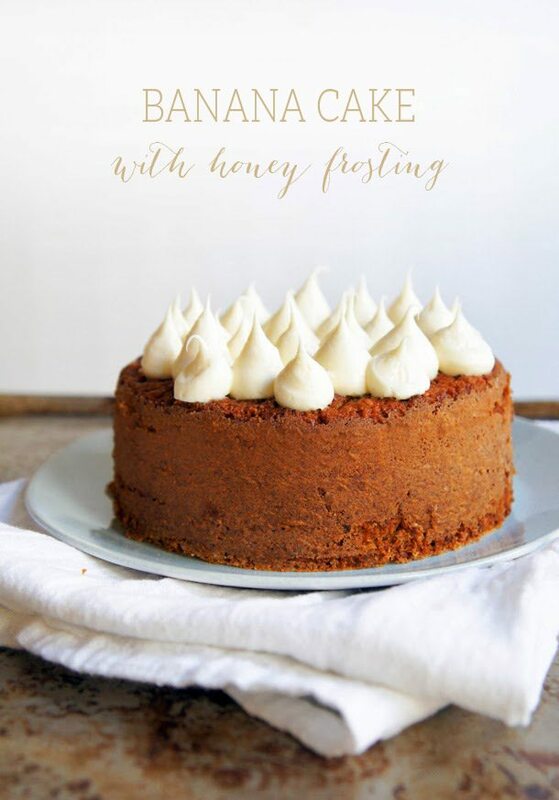 This cake uses the creaming method, where butter and sugar are beaten using a mixer to a fluffy consistency.. This recipe entails sifting the dry ingredients, sans sugar, and keeping aside before preparing the creamed mixture. Once butter and sugar are creamed, egg and vanilla is added, followed by curd. The dry ingredients and banana puree are then mixed in, with dry ingredients making it to the first and last additions. Just make sure that you have all your ingredients at room temperature. The result – a dense, velvety cake that melts in your mouth. 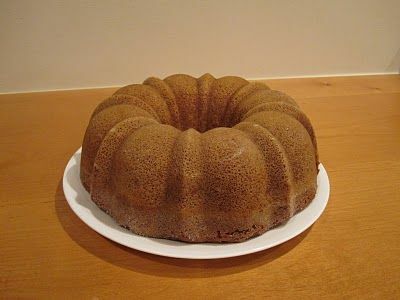 While the following recipe uses a round cake pan, you can use a bundt pan for better results. Serve it immediately or store it in airtight container to be enjoyed later. 1. Preheat oven to 190 degree Celsius/375 degree F/Gas Mark 5. 2. Grease a cake pan, dust with a little flour and keep aside. 3. Slice the bananas and using a blender, blend it to form a lump free puree. 4. 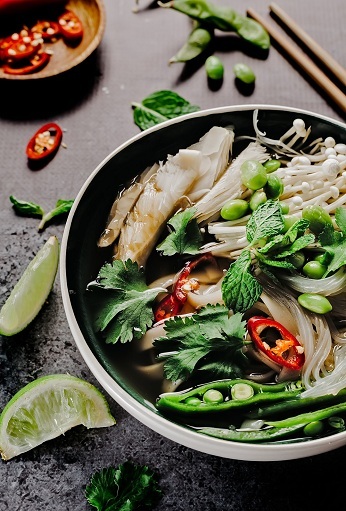 Take a large bowl. 5. Add flour, baking powder, and salt in it. 6. Sift the dry ingredients twice and keep aside. 7. In a large mixing bowl, add softened butter and powdered sugar. 8. Using a wire whisk or electric hand mixer, beat butter and sugar until the mixture turns fluffy. 9. Add egg, followed by vanilla essence and give a quick mix. 10. Add curd and mix well. 11. Add sifted dry ingredients and banana puree, alternatively. 12. Using a spoon, keep mixing until the ingredients just get incorporated. 13. Transfer the cake batter to the prepared baking dish. 14. Place in the preheated oven. 15. Bake for 30 minutes or until a cake teaser inserted comes out clean. 16. Remove from the oven and allow cooling for 10 minutes. 17. Transfer to a wire rack and allow cooling thoroughly. The cake is ready to be served or use as desired. Always allow all ingredients to come to room temperature before mixing. Using overripe bananas will give you a moister cake, but make sure the flavour of the bananas have not changed due to over ripening. To make a choco chip banana cake, stir in 1 cup of dark chocolate chips just before transferring the batter to the pan. Add 2 tbsp unsweetened cocoa powder to the dry ingredients while sifting to make a chocolate banana cake. 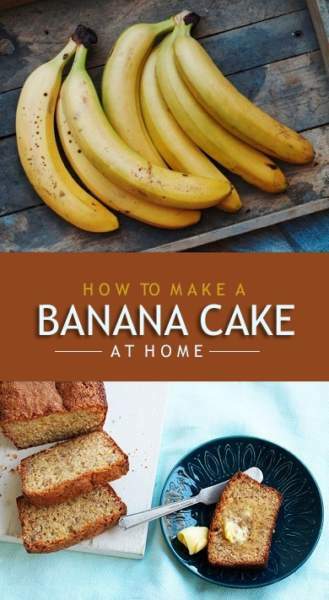 You can frost this banana cake also. Use simple whipped cream or for a royal touch, you can use Chocolate Ganache frosting. You can use the same batter for preparing banana cupcakes also. Add crunchiness to this cake by tossing almonds and walnuts in 2 tbsp flour and folding in the batter just before transferring it to the pan. Banana cakes taste fabulous and are quite simple to make. This is one of the best ways you could get your child eating bananas also. So, when are you going to try?